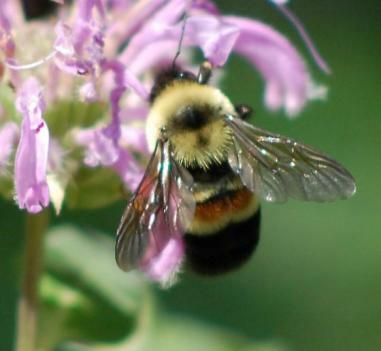 The rusty-patched bumble bee is a docile bee. The worker bee has a small rust-colored patch on the middle of the second abdominal segment. The bees can be divided into queens, female workers, and male bees. Bumble bees are important pollinators of both wild flowers and crops. Go to Classification of Bombus affinis!